Quick post on this super instagrammable cafe that I visited in JB during a quick daytrip to JB. It’s called People & Places, and according to my friend who has been to JB countless times, this is a very popular cafe especially on the weekends. Food in general is also above average. And as with most things in Malaysia, the cafe food is cheaper than in Singapore, which is always appreciated! I have to agree that this cafe as many instagrammable opportunities because of the layout and decor. There are lot of plants around, there is a special cosy seating corner and there is also a long flight of stairs leading to the 2nd floor where you can take overhead shots of the cafe too. We spent 10 minutes eating and drinking but nearly 1 hour taking pictures, we were that crazy! Scroll down for all the nutty pictures that we took! 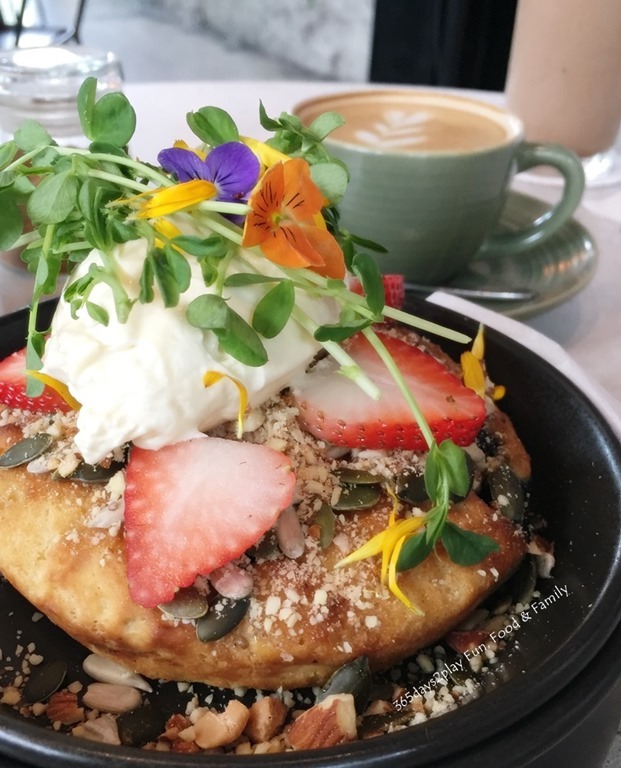 The super popular pancake. It’s not bad but not the best. 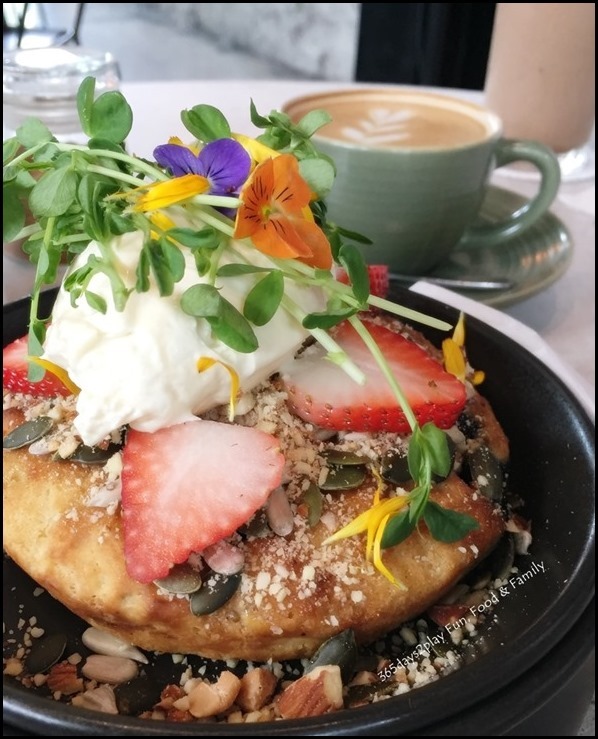 Would have liked a sweeter topping to drizzle over as the pancake was a little dry. Also the bitter veggie garnish totally did not go with the pancake, although it made for a lovely shot… The drinks were good though, no complaints there. If you have been following my blog, you will know that one of my favourite past-times is enjoying a spot of afternoon tea. 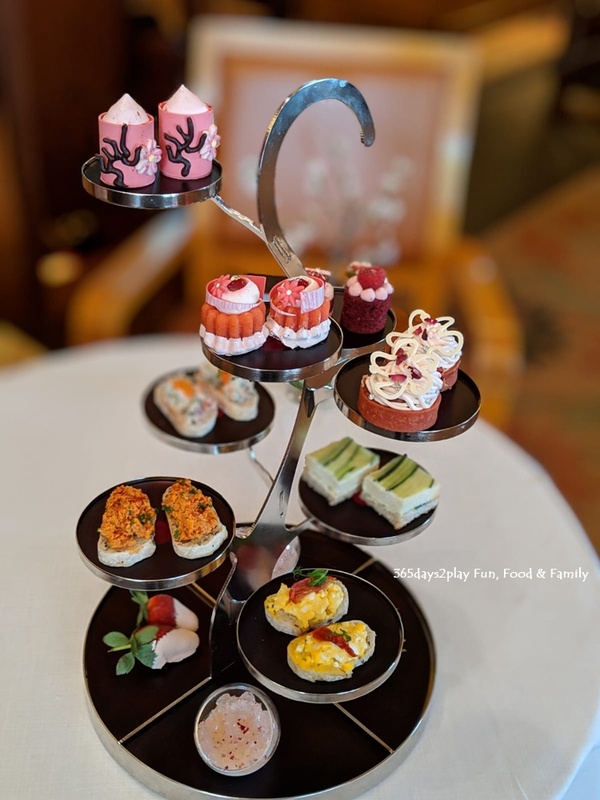 I love the whole idea behind it, from the exquisite nibbles, the various teas to choose from, the posh and dainty settings, and the idea of quiet relaxation and good conversation as time stops still, even if just for a couple of hours. But I do know that a dainty afternoon tea is not everyone’s cup of tea. Those who like to have their meats and seafood will be wondering at all the small bites. And a very huge plus point for afternoon tea lovers is that you can have unlimited servings of tea and coffee. What this means is that you can try the various tea flavours and coffee brews without limitation. Most hotels nowadays limit you to just 2 teas/coffees per person, and I have even encountered hotels that do not even offer a second pot of tea, aside from hot water top ups. In reality though, it’s very difficult to drink more than 3 types of tea, because that means 3 pots of tea, or coffee for that matter, but I certainly appreciate the option of being able to switch if I want to. Quite a good selection of Ronnefeldt teas too, several choices per type of tea ranging from black tea to Chinese teas and even herbal infusions. The Sakura Afternoon Tea set also comes with a flute of Faive Rose Wine from House of Nino Franco per person, which I wish was refillable! Scroll down for pictures of the Sakura Afternoon Tea. The much anticipated 3rd outlet of Malaysia Boleh! has finally opened at EastPoint Mall in Simei. What is Malaysia Boleh? Malaysia Boleh! is a themed food court opened by the Fei Siong Group specialising in authentic Malaysian street hawker fare. Popular dishes and names such as the Penang Jalan Cheong Fatt Tze prawn noodles soup and the Klang Bak Kut Teh amongst many others are available at Malaysia Boleh! The look and feel of the place is meant to remind you of the food streets in Malaysia during the 1960s, from the design of the stalls and pushcarts to the decals on the walls. Aside from this newly opened Eastpoint Mall outlet, the other two Malaysia Boleh! outlets are located at Jurong Point and AMK Hub. I have only been once to the Jurong Point outlet quite some years ago and I remembered it to be fairly large and spacious. The Eastpoint Mall Malaysia Boleh! feels quite small and cramped. In fact those who frequent Eastpoint Mall will notice that the Malaysia Boleh! is only about half of the size of the former food court, and made to seem even smaller because there are now no windows to look out of. Last year, I visited Johor Bahru for the first time in many years. It was a trip unlike any other because my friend brought us around like a local. We got to check out a popular bah kut teh eatery, 2 Instagrammable cafes and even had time for a cheap massage by Singapore’s standards! You can read more about my day trip to Johor Bahru via public transport here. But for this post, I thought I should write more about Kedai Bak Kut Teh Hin Hock, which is worth trying if you ever visit JB. The interesting thing about this place despite their name is that they are also very famous for their steamed fish. In fact, the Grab Driver who drove us, knew about the steamed fish but not the Bah Kut Teh. Another interesting point is that most of their dishes are steamed or boiled, eg the veggies. 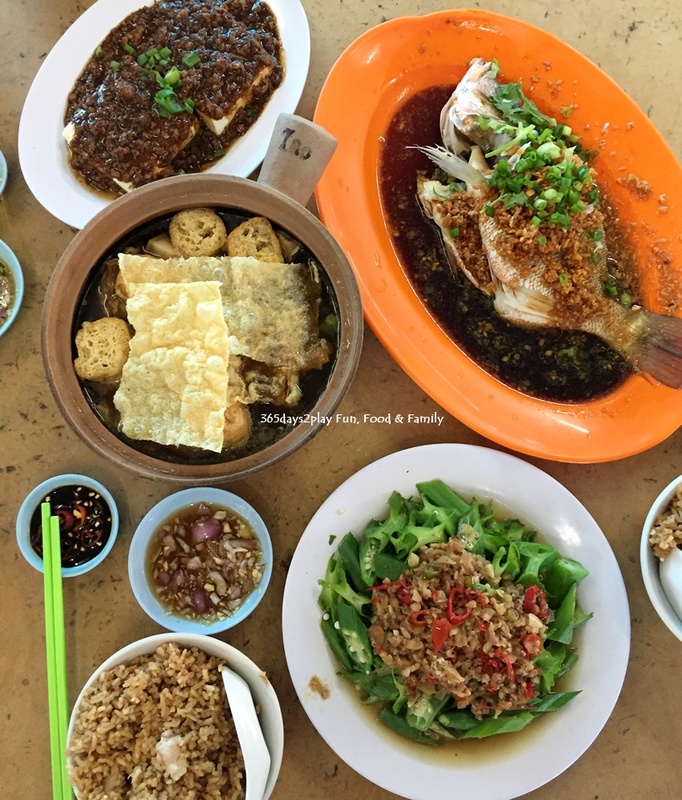 Here’s a video of lunch hour on a weekday at Kedai Bak Kut Teh Hin Hock. Check out that enormous package of herbs that was dunked into the BKT broth. We left the ordering entirely to my friend and so this is what we had for lunch that day. As is quite common in most Bah Kut Teh outlets in Johor Bahru, the Bah Kut Teh tends to be quite heavy on the herbal flavour, as opposed to the more peppery kind that you might be more familiar with. The Bah Kut Teh tastes good, especially when you first try it because of the intense flavours. But I must admit it does get slightly overwhelming after a while, especially if you are trying to drink the soup. Fratelli Pizzeria and Trattoria – Watch 2-time pizza acrobatics champion Pasqualino Barbasso in action! When you think of juggling acrobats, you usually think of the ones in a circus juggling hoops or pins or even lighted torches. But have you heard of people who juggle pizzas, specifically pizza dough? It’s quite a sight to be hold actually. From now until 9 March 2019, catch two-time Pizza Acrobatics World Champion Pizzaiolo (pizza maker) Pasqualino Barbasso at Fratelli Pizzeria at Hotel Michael in Resorts World Sentosa. This Sicily-born chef has been showcasing his gravity-defying dough-spinning stunts all around the world. But being a Pizzaiolo, he can also produce delicious Italian pizzas as well. Catch him in action at the following timings! Scroll to the bottom of this post for a sneak peek video of Pasqualino Barbasso in action! And if you want to learn from the master himself, there is a pizza making workshop on 6 March. Please call +65 6577 6688 to register for a slot. 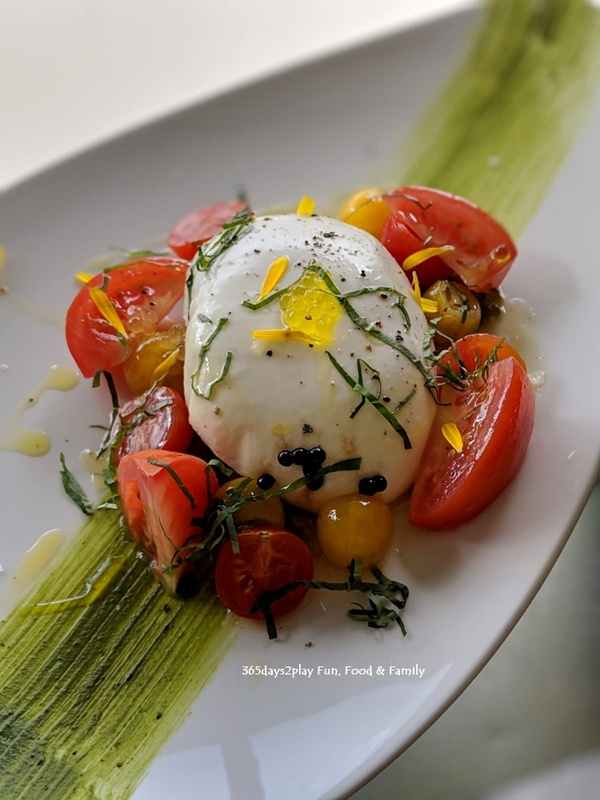 Scroll down for pictures of some dishes we tried at Fratelli, plus the sneak peek video of chef Barbasso in action.